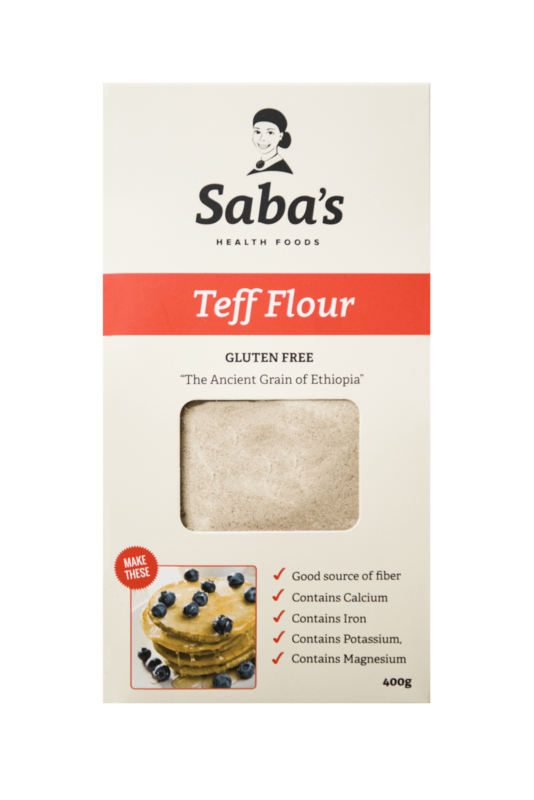 Teff flour is naturally high in calcium which is not usually found in grains. Teff flour is naturally higher in proteins than other grains. A type of dietary fiber, that can benefit blood-sugar management and digestion. Thiamin, Vitamin B6, Vitamin C, Magnesium, Phosphorus, Potassium and Manganese.